Many people with borderline personality disorder (BPD) struggle with basic emotion regulation skills. 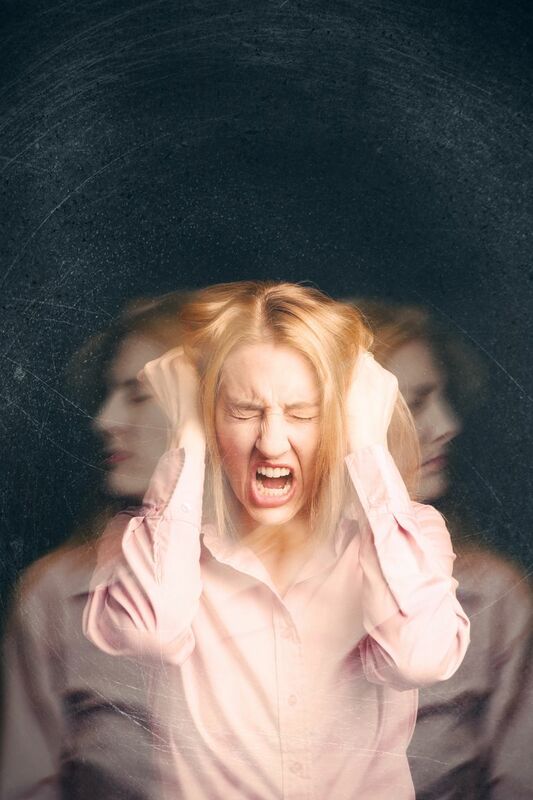 In fact, Marsha Linehan, one of the foremost researchers in BPD and the developer of dialectical behavior therapy (DBT) for BPD, has suggested that emotion regulation deficits are at the core of the disorder. Knowing how to regulate your emotions is important for everyone, whether or not you have BPD, but what is emotion regulation, and how can you improve your emotion regulation skills? We all feel emotions, both negative or positive, on a daily basis. As children, most of us typically learn how to manage, express, and cope with these emotions in a healthy way. For some people though, including those with BPD, emotion regulation is much more difficult, sometimes due to painful childhood experiences, abuse, or trauma, and sometimes because of not having been shown or taught how. Though it's considered an important area of study in the world of psychology, so far there is no one agreed-upon definition of the term "emotion regulation." Many researchers define emotion regulation as the ability to enhance or reduce your emotions as needed. For example, if you feel upset in the middle of a meeting at work, you might try to distract yourself from whatever was upsetting you by thinking about something else. Other researchers use a much broader definition of emotion regulation, viewing it as a set of skills that help keep your emotional system healthy and functioning. Since emotions are not absolute and permanent, we can learn to adjust what emotion we have, how intense it is, when we have it, and how we react to it. The defining aspect of emotion regulation is that it occurs when a goal is activated. Goals are highly individual. They're what we picture in our heads—the way we'd like things to turn out. Your goals can be activated in a conscious or subconscious way by your environment, which includes people, objects, images, words, and sounds. Influencing a change in someone else: If you're a parent, your goal may be to help your child learn how to regulate his or her own emotions. When your child has a meltdown, you may feel angry or even amused, but instead of yelling or laughing, you regulate your emotions in order to talk to your child calmly about how she could react instead. This is referred to as extrinsic emotion regulation. Influencing a change in yourself: If one of your goals is to be more positive, you may regulate your negative emotions by focusing on positive ones. Regulating your own emotions is called intrinsic emotion regulation. Sometimes this kind of regulation is driven by what our culture views as good or bad feelings, or how we should behave in certain circumstances, such as at a funeral. Meeting long-term goals: You may also regulate your emotions in order to achieve another end goal. For instance, when your boss treats you poorly at work, you act as if it doesn't bother you because you're hoping for that job promotion. Changing the intensity, duration, or type of emotions: At times, we work to increase or decrease the intensity of our emotions. For instance, you may feel depressed or anxious, but no one at work knows about it. We also change how long our emotions last. An example of this is not wanting to think about the anxiety you feel over financial difficulties and instead keeping your mind busy with other activities. At other times, we may change the type of emotion we feel. If you fell down in front of everyone, you can choose to laugh or blow it off instead of being embarrassed. Unconscious regulation: This kind of emotion regulation happens without you even knowing or realizing it. An example of this would be quickly switching the channel when something you find upsetting on TV. Sometimes these goals overlap. For instance, you may speak soothingly to an overwrought child (extrinsic) in order to help decrease your own anger and frustration (intrinsic). Situation: Emotion generation begins in a situation. It may be an external situation, such as a friend making a critical comment, or it may be a thought or emotion in your own head. Attention: This situation grabs your attention. For instance, your attention may be drawn to the way your friend has his arms crossed as if he's angry. Appraisal: You appraise the situation. In this example, you may be worried that this person no longer wants to be your friend. Response: Your initial response can be physical and/or emotional. Your face may turn red and you may feel hurt. You then respond to the person, which may change the situation and start a new sequence all over again. For example, you tell your friend that the comment hurt your feelings and ask why he said it. He may then apologize or say he's having a bad day. When it comes to emotion regulation, we can pick any part of the above sequence of emotion generation and influence our emotions accordingly. Situation: We can choose to avoid people or situations that we think we'll find hurtful, engage in situations we find positive, or we can change the situation we're already in by changing our behavior. Attention: We can focus on something else in the situation, such as nonverbal cues the other person is giving or what might be really behind what she's saying. Appraisal: We can change the way we're thinking about the situation. For instance, if the emotion generation sequence was started by you thinking "I'm so stupid," you can tell yourself that's not true and it's just a feeling you're having at this moment. In the above example, after worrying that your friend no longer wants to be your friend, you can remind yourself that you're jumping to conclusions and one critical comment doesn't mean the end of your friendship. Response: We can change how we respond to the situation. Instead of getting angry and lashing out, you can do some breathing exercises. Instead of avoiding an uncomfortable situation, you can take a trusted friend along with you. Instead of overreacting to what someone says, you can ask him or her more about it so you understand each other. The ability to recognize that you're having an emotional response and to understand what that response is. Accepting your emotional responses rather than rejecting them or reacting to them with fear. This can be difficult even for people who don't have BPD, as emotions such as anger or sadness are often discouraged by society. The ability to access strategies that allow you to reduce the intensity of the emotion you're feeling when you need to. This means if someone has enraged you, you don't give in to the desire to physically lash out at them or hurl a long line of epithets their way. In fact, when you're upset, you should be able to engage in goal-directed behavior if you're well-versed in emotion regulation. The ability to control impulsive behaviors when you're upset. If you feel like trashing your home because you received upsetting news, you can curb the inclination to throw everything on the floor or punch a hole in the wall. Because people with BPD can struggle with some or all of the skills on this list, this broader definition of emotion regulation mentioned above is probably the most helpful in describing the regulation deficits that are present in BPD. Fortunately, it is possible to develop some of the emotion regulation skills that you lack. Reducing emotional vulnerability: Making sure you take good care of yourself by getting plenty of sleep, eating a healthy diet, staying active, and making time to do activities you enjoy can all go a long way in helping you avoid some of the emotional ups and downs associated with BPD. Mindfulness skills: Mindfulness is the practice of being present in the moment and it's one of the core skills in DBT. Mindful people learn to be aware of the breaths they take, the tension in their muscles, and even their pulse rates. They chew their food slowly and intentionally, and listen to their bodies for cues that they are full. They can objectively observe themselves in difficult moments, confident that even these times will pass. Being mindful can help you learn how to use healthy coping skills to deal with your emotions. Emotional acceptance: In and of themselves, emotions are not good or bad, though they may be scary, especially when they're intense. Learning how to accept your emotions takes practice, but the more you do it, the more natural it becomes. Mindfulness skills can help with this too. Fassbinder E, Schweiger U, Martius D, Brand-de Wilde O, Arntz A. Emotion Regulation in Schema Therapy and Dialectical Behavior Therapy. Frontiers in Psychology. 2016;7:1373. doi:10.3389/fpsyg.2016.01373. Gross JJ. Emotion Regulation: Current Status and Future Prospects. Psychological Inquiry. 2015;26(1):1–26. doi:10.1080/1047840X.2014.940781. Linehan MM. Skills Training Manual for Treating Borderline Personality Disorder. New York: The Guilford Press; 1993. Sheppes G, Suri G, Gross JJ. Emotion Regulation and Psychopathology. Annual Review of Clinical Psychology. 2015;11:379-405. doi:10.1146/annurev-clinpsy-032814-112739.